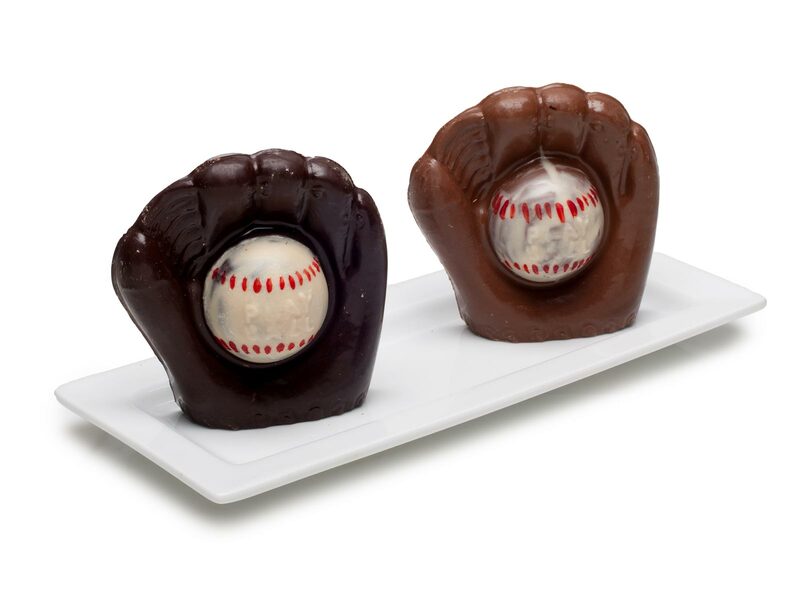 Solid chocolate baseball gloves are available in milk and dark chocolate. 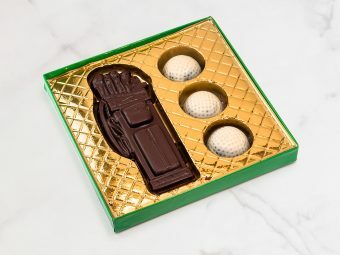 This solid Baseball Gloves in Milk or Dark Chocolate item is the perfect gift for baseball fans of all sorts. It’s sure to get complements and appreciation. 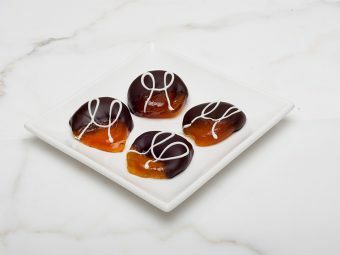 Surprise and delight them at events, birthdays and holidays like Father’s Day. The chocolate baseball themed gift features a catcher’s mitt and chocolate baseball.